With a new year upon us, this is always a great opportunity to plan and look ahead. With that in mind, we have been thinking about categories, brands and trends that we think and/or hope will see growth and will be trending in 2017. The Scottish soft drinks and tonic market is definitely on the up and now adding to the wonderful drinks and Scottish tonic water of Summerhouse drinks comes the relaunch of a classic Scottish name, Bon Accord Drinks. Last year the great-great granddaughter of the original founders re-launched this historic brand and they have brought it back into the 21st century. With a Scottish tonic water that is light and refreshing in taste, and with no artificial sweeteners or sugars added, it is just perfect when you want to let the subtle nuances of your gin come through. All of their drinks are made with natural sugars and personally I cannot get enough of the Rhubarb soft drink (they also do a really delicious cloudy lemonade). I think in particular the Tonic Water will continue to grow and hopefully with this brands rise we will see other Scottish soft drinks emerge with the same idea of bringing a quality product made with natural ingredients to the table. There is no end to the abundance and use of the word craft in modern times, and everything we seem to consume from beer, spirits and soft drinks are all craft these days! And the craft spirit movement in Scotland is certainly gaining momentum and has of course been driven by the meteoric rise in producers and the popularity of Scottish gin. We now have a rise in small craft whisky producers popping up either as new distilleries or distilleries re-opened such as Harris distillery, InchDairnie (Fife), Torabhaig (Skye) and Bladnoch to name but a few. Seven new distilleries are set to open in 2017 including the first malt distillery in Edinburgh for 92 years. And it’s not just gin and whisky that are on the rise in the craft spirits market in Scotland, there is also some great producers popping up and continuing to grow their brands for vodka – Arbikie & Ogilvy, rum – Dark matter & Lone Wolf and we even have a Scottish Tequila (Uwa), some of which is currently being aged in Scotch whisky casks! Pretty much every year for the last 3 or 4 years Tequila, Mezcal and Agave spirits have been the category to watch. We expected to see massive growth and see these drinks finally get the recognition they deserve by the average consumers, but we have yet to really see this happen. The category has certainly grown particularly in the premium Tequila market which has in turn led people to artisan Mezcals. The Del Maguey range are a great place to start where you can get broad spectrum from light and fruity to heavy and smokey. This has also helped with the influx of things like Sotol and Raicilia, which are other agave related products that again offer something unique and different for bartenders to experiment with and consumers to enjoy. This is a category that I really hope will catch the masses this year and I hope that people will learn to appreciate the category for what it is; a rich flavour with history, culture and craft – not that cheap nasty shot of tequila that has made you sick! Sustainability is something that is very rarely thought about when working in a bar! Over use of ice, using 100’s of straws to taste drinks, binning citrus fruits that have been juiced and so on and so on. For the last few years there have been more and more bars and bartenders trying to change these habits and make their bar more sustainable and environmentally friendly. Ryan Chetiyawardana of White Lyan is a prime example of how this can be done, using no ice or citrus and prebatching all cocktails and even going to the extent of distilling their own spirits. With doing this they managed to reduce their waste at White Lyan by 75%! 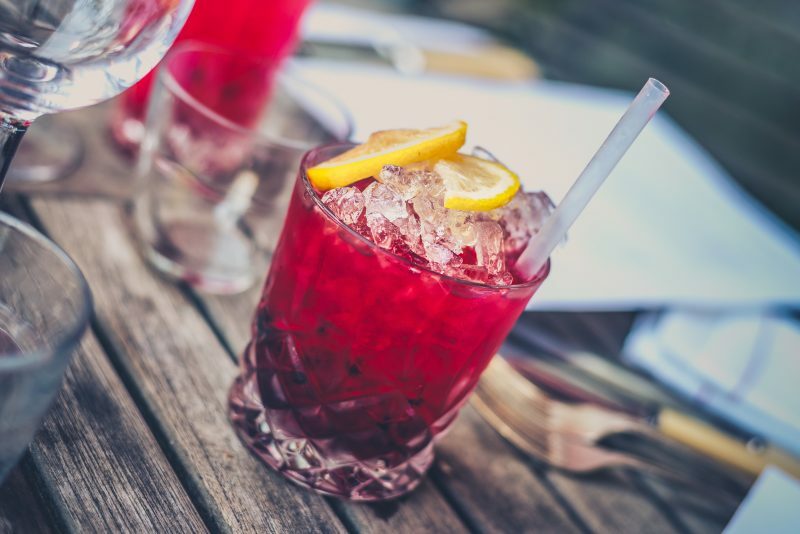 Not everyone can start distilling their own spirits and avoid using ice or citrus, but there are ways that everyone can be more sustainable within your bar or working environment and there are lots more people doing it now, which is great to see. We take inspiration from the chefs we work alongside. Ingredients are never wasted, every part of a lemon or mint or anything else that can be used is used. Peel a lemon before juicing it so that it can be used for garnish. When juiced, use the husk for syrups, cordial, infusions etc. Being mindful of what you are using, and thinking about the multiple uses you may get out of product, is just one step that bars and bartenders can make to try and become more sustainable. And the benefits are not only the environment but also the savings can also have a big impact on a business. And really hope to see more of this in 2017 and I know it is something we will definitely be trying to do more of!